I developed a framework to aid in thinking about volatility events awhile back and given the recent volatility, I thought it might be helpful to share that framework. First, there are many different types of events that affect volatility. Some of these events transpire almost instantaneously according to an exact timetable that is known in advance, even if the facts are a surprise. 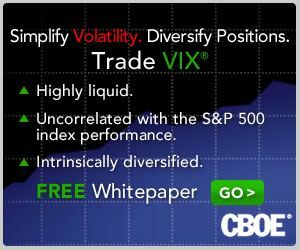 Examples of exact-instantaneous volatility events include government economic data (e.g., tomorrow’s weekly jobless claims), corporate earnings announcements (e.g., Chevron (CVX) reports tomorrow), and yesterday's speech by Ben Bernanke. Other events unfold incrementally on a fuzzy timetable, with any number of twists and turns. Examples of fuzzy-incremental events include hurricanes (Gustav, Hanna, etc. ), geopolitical crises (Georgia/South Ossetia, Iran, Iraq, etc. ), and of course, the current financial crisis. Without diving into too much detail in this space, I will mention two other related elements of a conceptual framework for volatility events: recurrence and reversibility. Government data reports are recurring and reversible. Productivity and GDP numbers are released quarterly and are subsequently revised. FOMC announcements and same store sales numbers are recurring, but are not revised. Fuzzy-incremental volatility events are not recurring (in identical form) and are not reversible. Legal rulings, however, are not recurring and are reversible. So what does this all mean? It means that most volatility events can be classified along five dimensions and those dimensions can be used to predict the magnitude of the impact that a specific event type will have on volatility. In the graphic below, I have distilled the above into five dimensions and have provided a framework for thinking about how they impact volatility. A high volatility event would therefore generally have little advance notice (note the “Low” designation at the top of the arrow, meaning that a low level of the element translates into high volatility), have a long duration, involve a high degree of (or potential for) contagion, not be recurring, and not be reversible. Also, the contagion element normally has a greater impact on volatility than advance notice, which tends to be a more important volatility factor than reversibility, etc. One of the things I tried to look at in case of Fukushima was the 'extent' of damage - the USD value. Once I realized this is not going to be a 'blow-up' like Chernobyl the 'event uncertainty' in my mind cleared a lot. I discounted the TEPCO value - entirely - as the worst case. So, where does your model of 5 parameters accommodate the quantification of the loss itself? How Can I Get to the Blank Fax Coversheet Within Microsoft Word. Word offers a variety of fax cover sheets to choose from; in addition, you. The next time you want to create a new fax page from the same template, you can find it by. Carbonless Forms (blank invoices). here to download a customizable blank invoice template (Microsoft Word). Making Laser Printed Forms. call us toll free, use our fax order form, or email us today. Your. Printable Fax Cover Sheet Docstoc? Documents, Templates. This is an example of printable fax cover sheet. This document is useful for creating fax cover sheet.